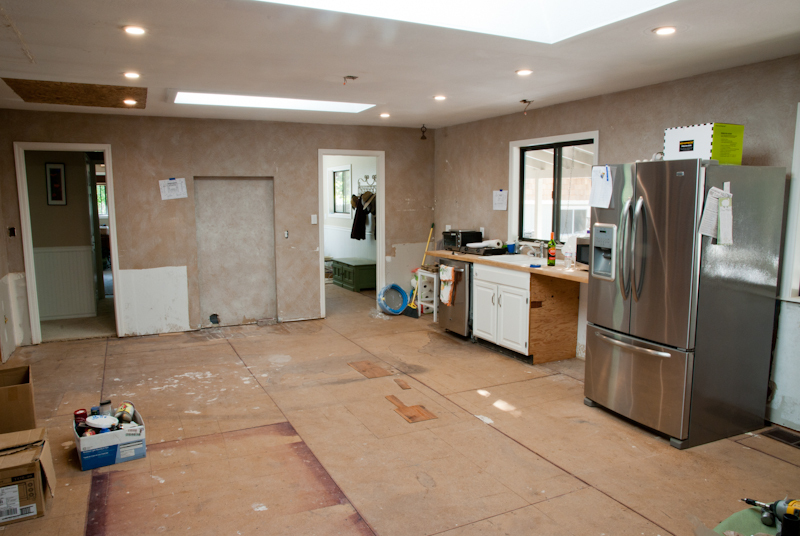 Our nephew Vincent was up this Memorial Day Weekend to help us demolish the floors in the kitchen. 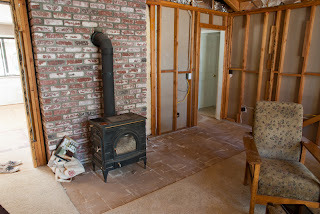 Three days of labor for the three of us, painful. There were two layers of linoleum on top of the subfloor, each with their own layer of wood and tons of nail gun staples. 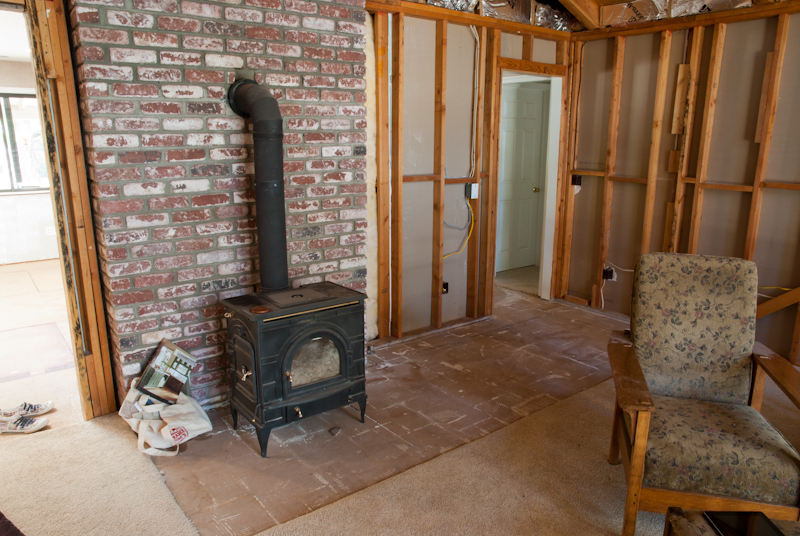 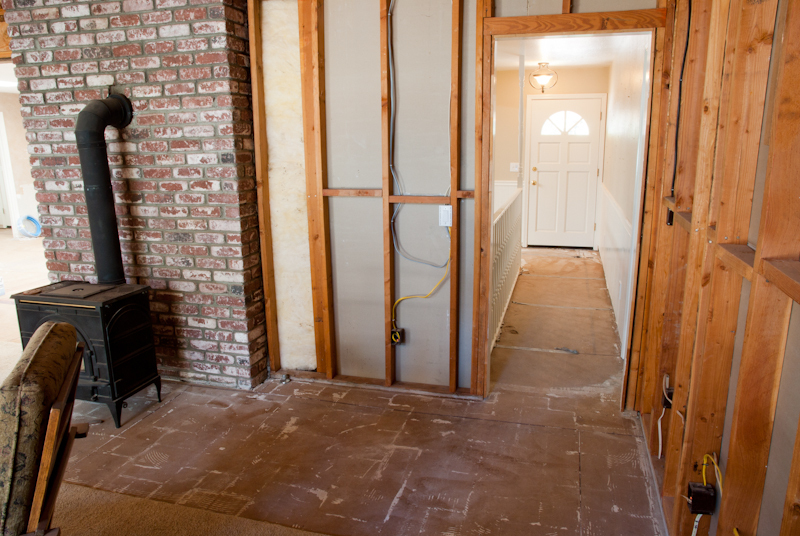 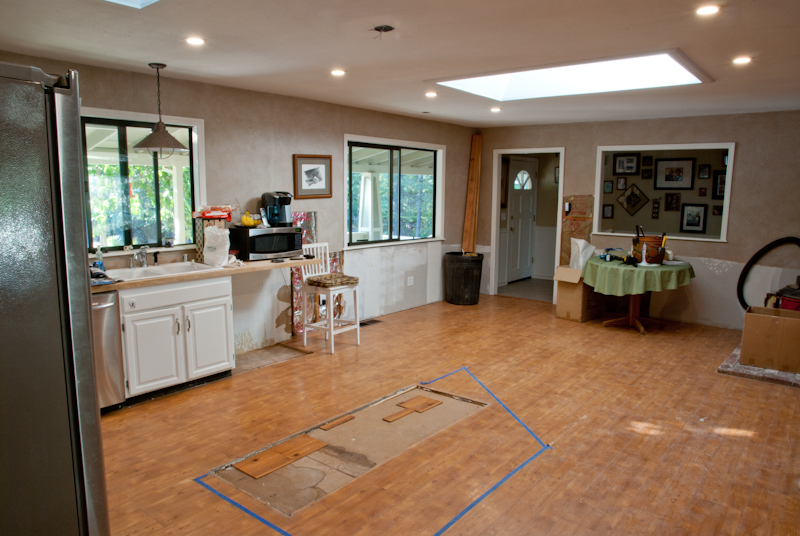 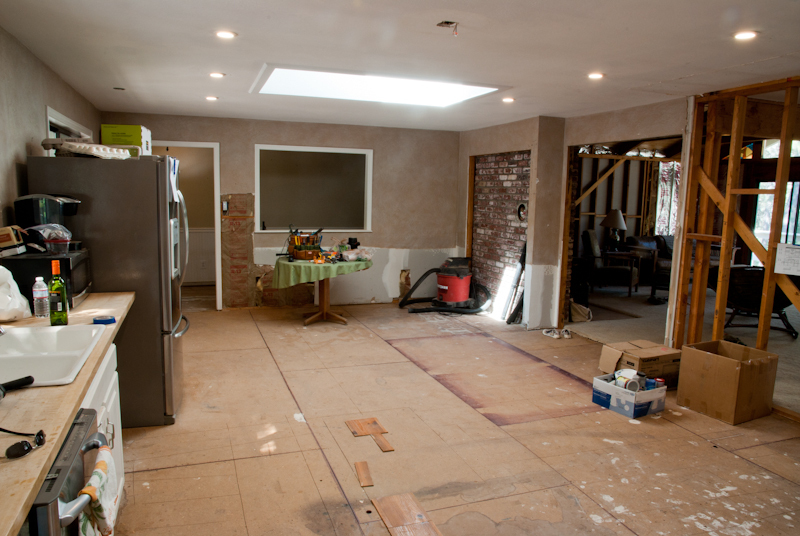 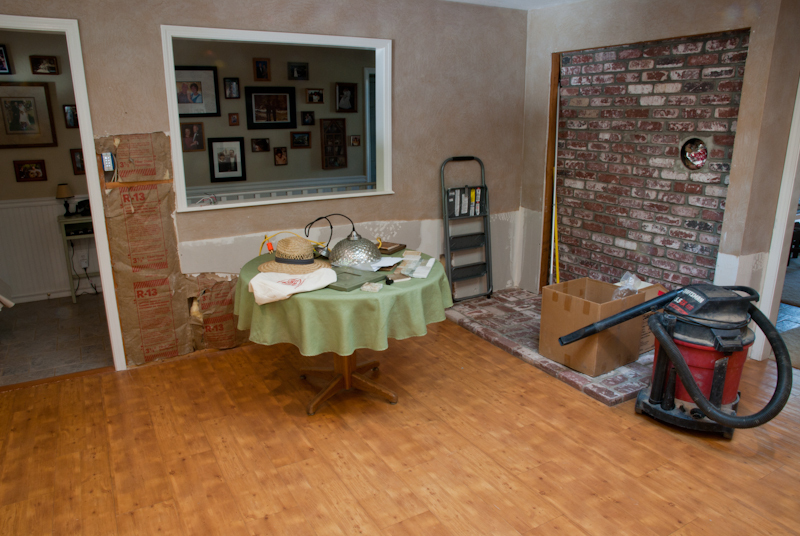 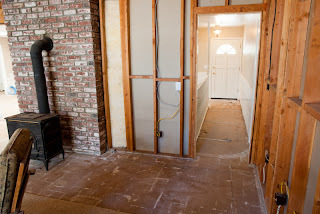 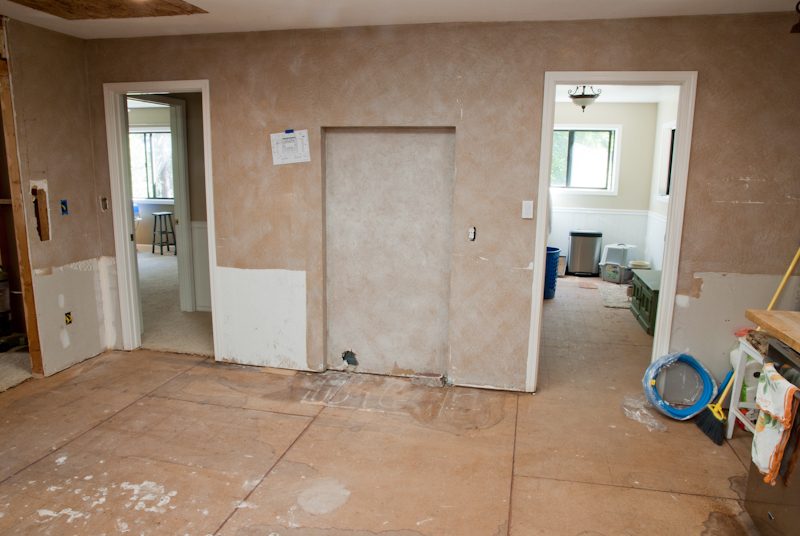 We were also able to get the brick floor and tile entry demolished too. 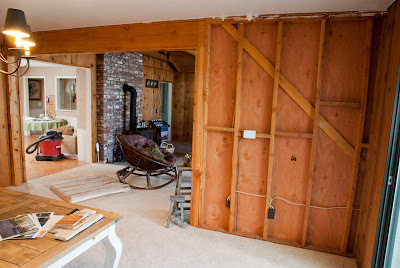 Reconstruction starts soon! 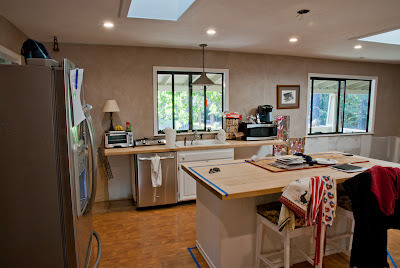 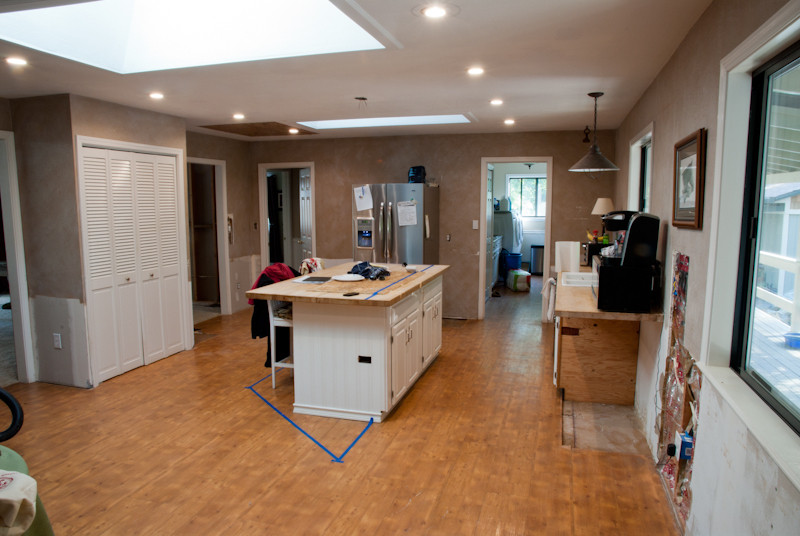 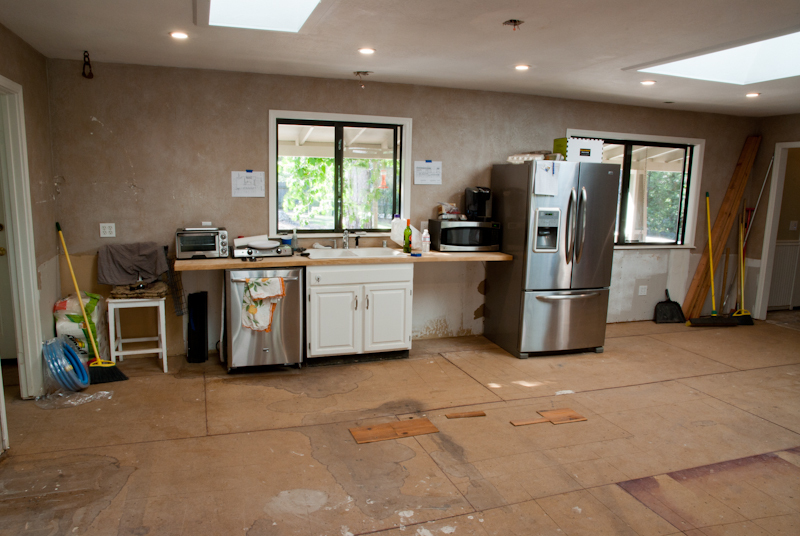 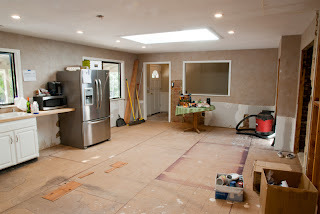 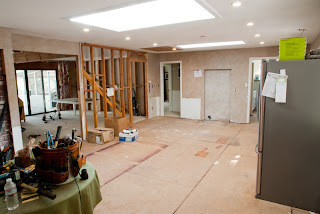 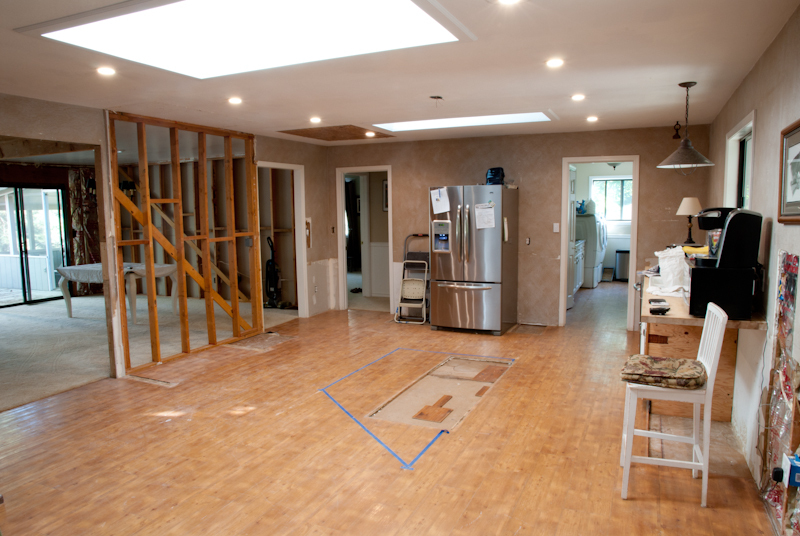 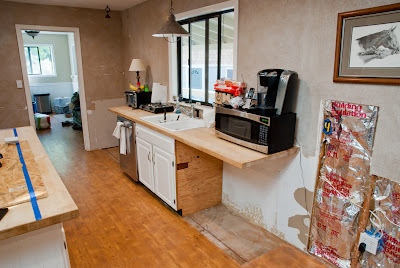 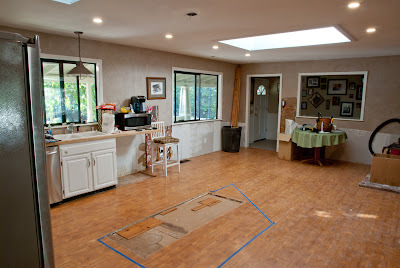 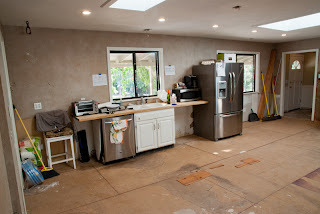 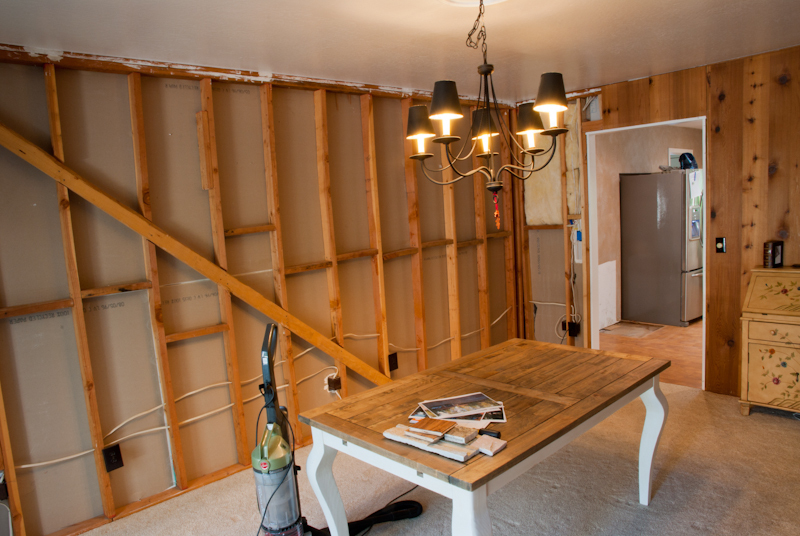 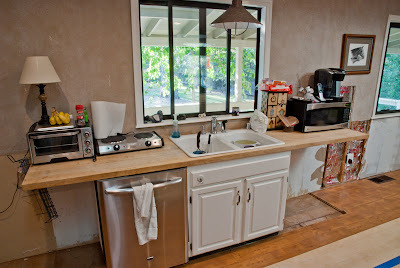 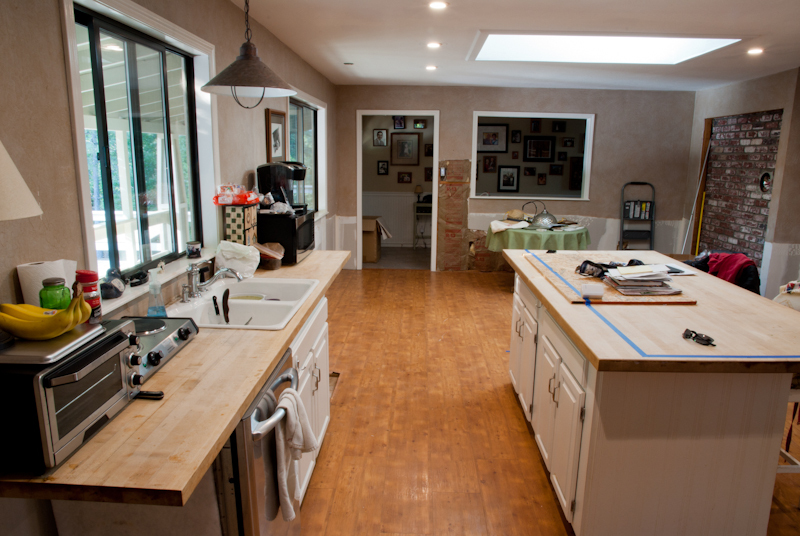 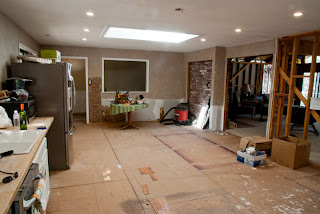 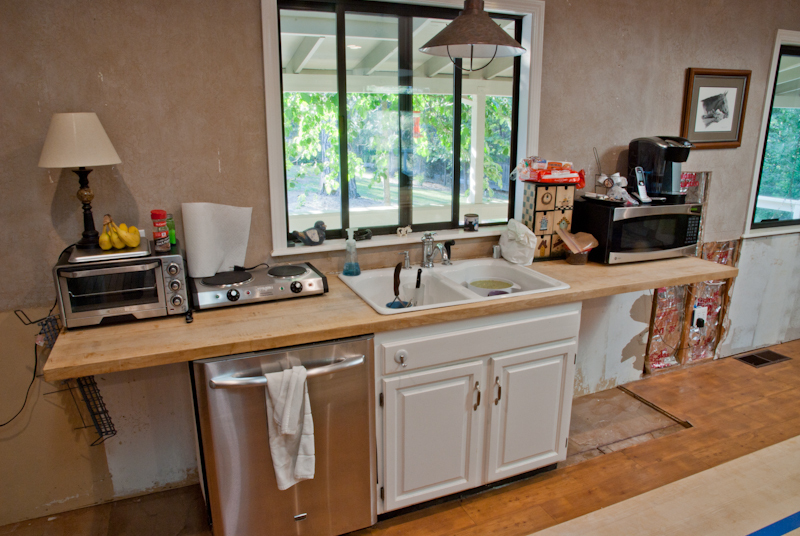 Have been busy doing a bit of demolotion and electrical work in the kitchen since the last post was made. 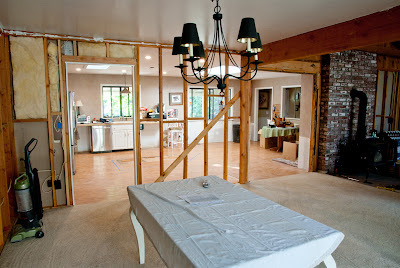 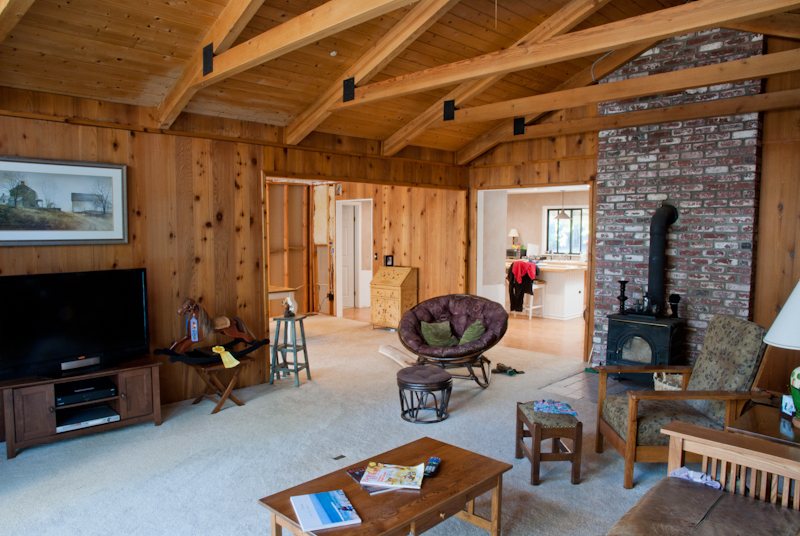 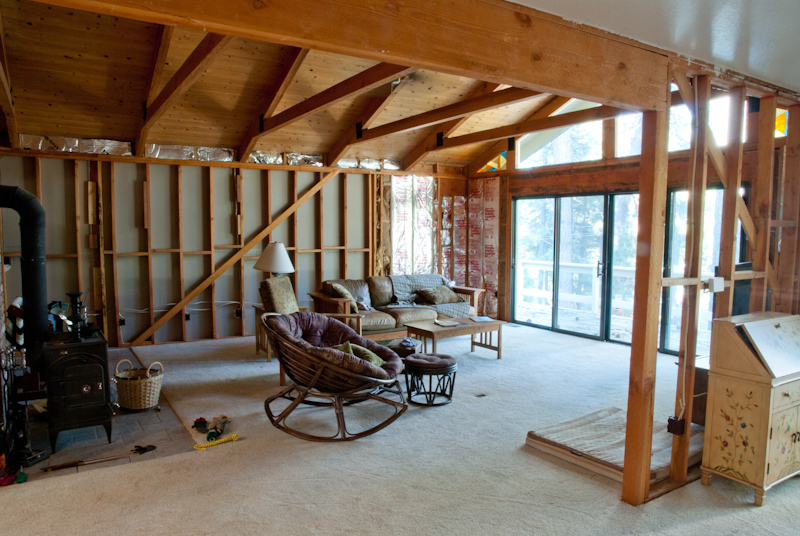 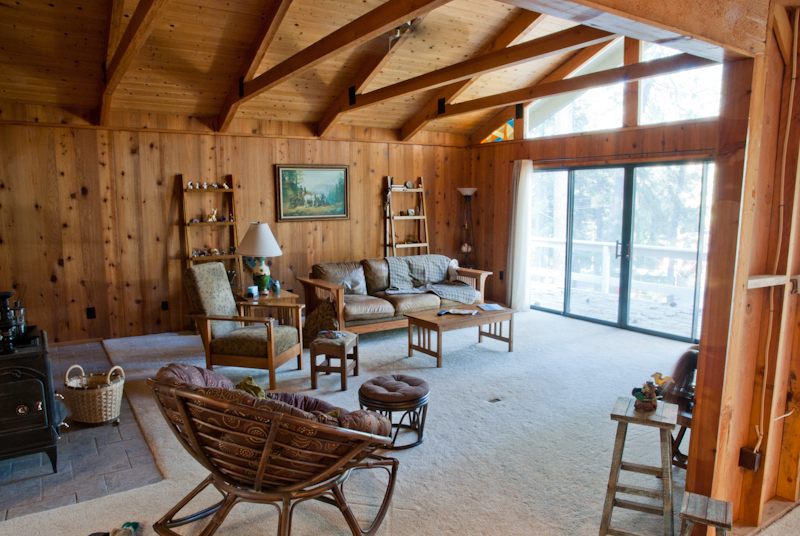 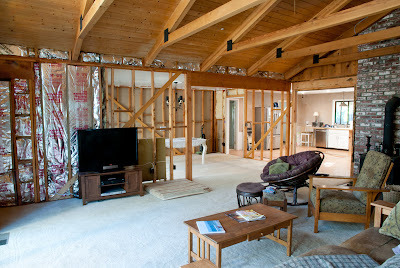 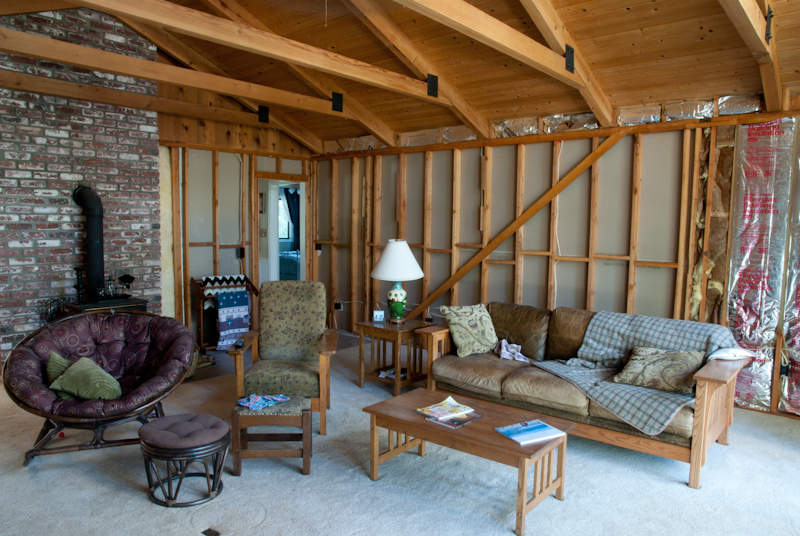 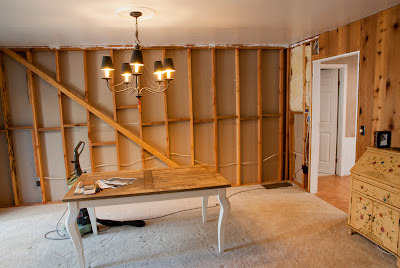 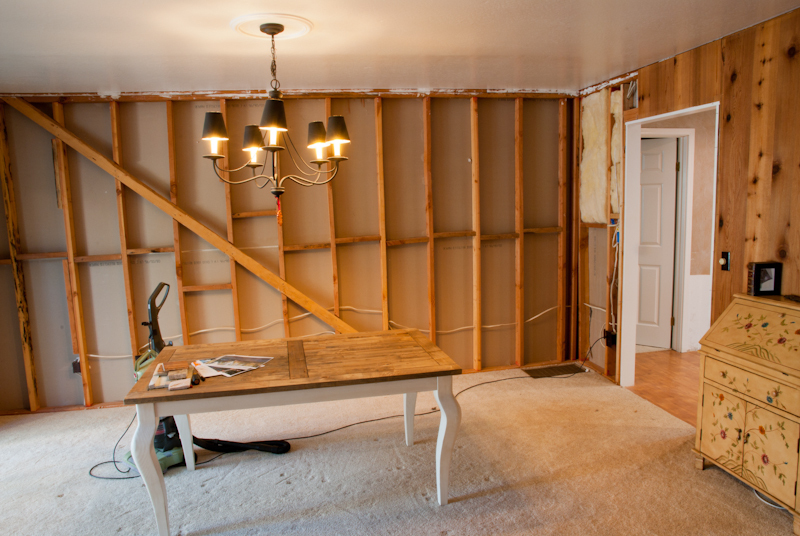 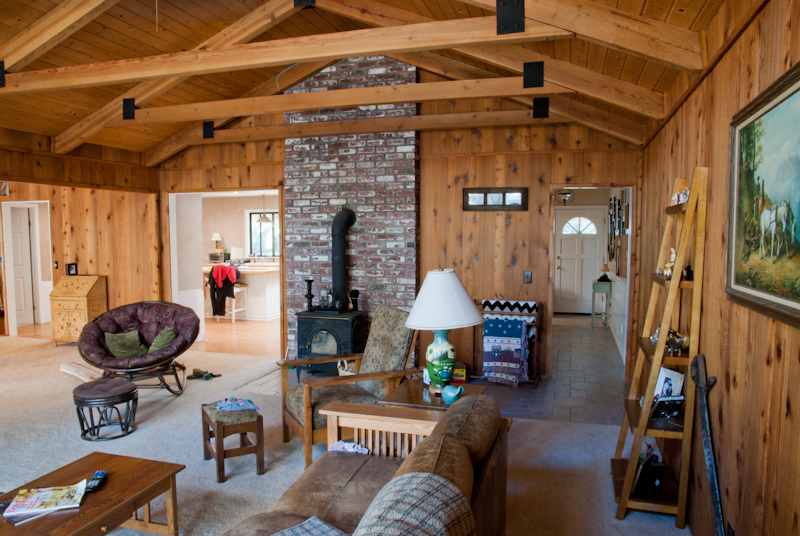 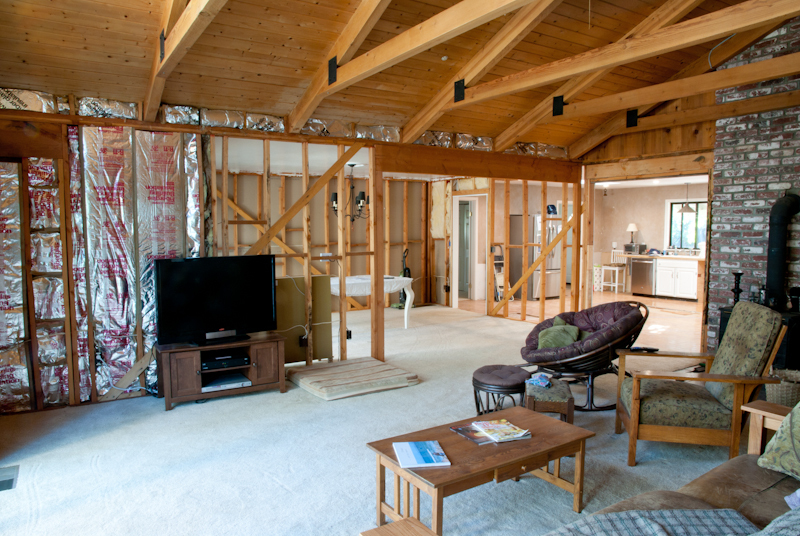 We have also decided to expand the project to include wood flooring in the living room and the entry way, so that means we need to sheetrock the living room now so it will not be too much wood. The project grows. Good news is that all of our cabinets have arrived (2 weeks ahead of schedule) and will be inspected next week. 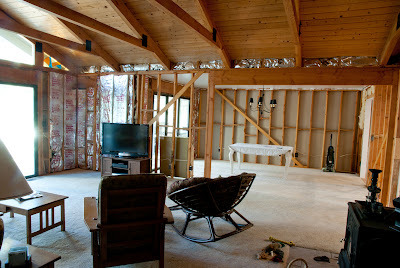 If everything is there, we'll be starting our installation the first week of June! You can click on the pictures below to view them larger. 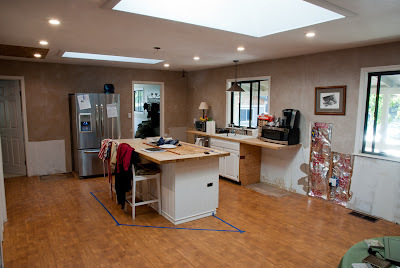 Blue tape is the outline of the new island. 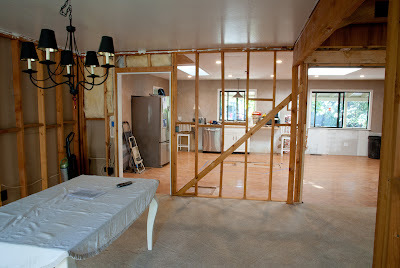 Many cabinets removed. Trying to leave the sink and dishwasher in place as longa s possible. 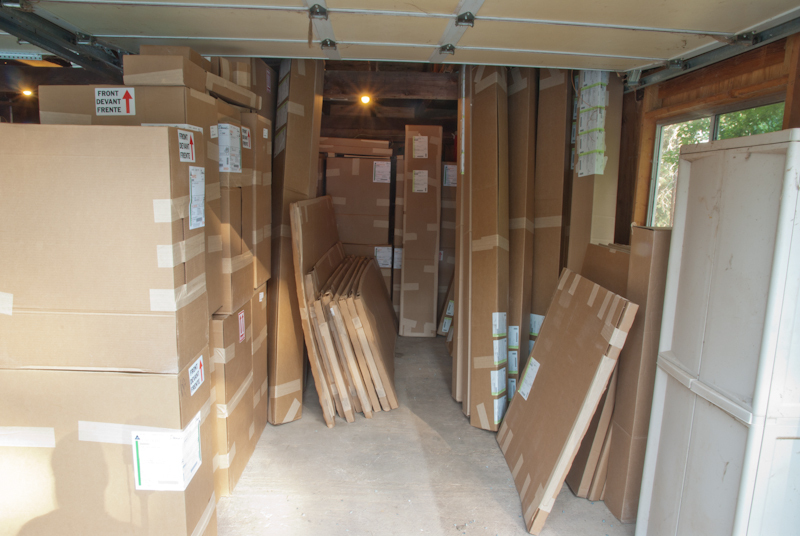 Cabinets fill up one half of the garage! 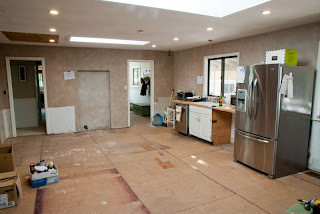 All the cabinets are taking up half of the garage!